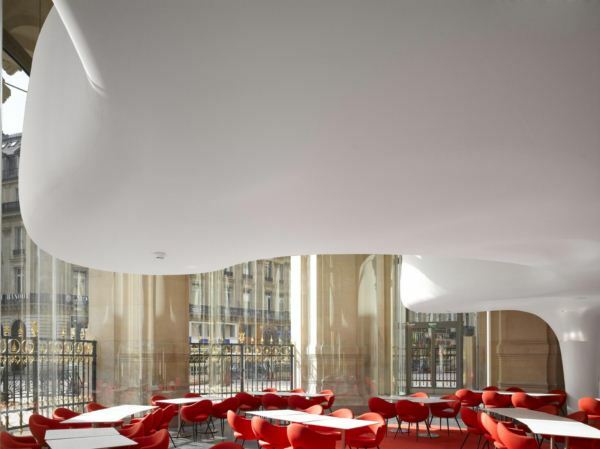 „A restaurant worthy of my Opera,” was one of architect Charles Garnier’ wish when designed the masterpiece that is the famous Palais Garnier Opera House from France. 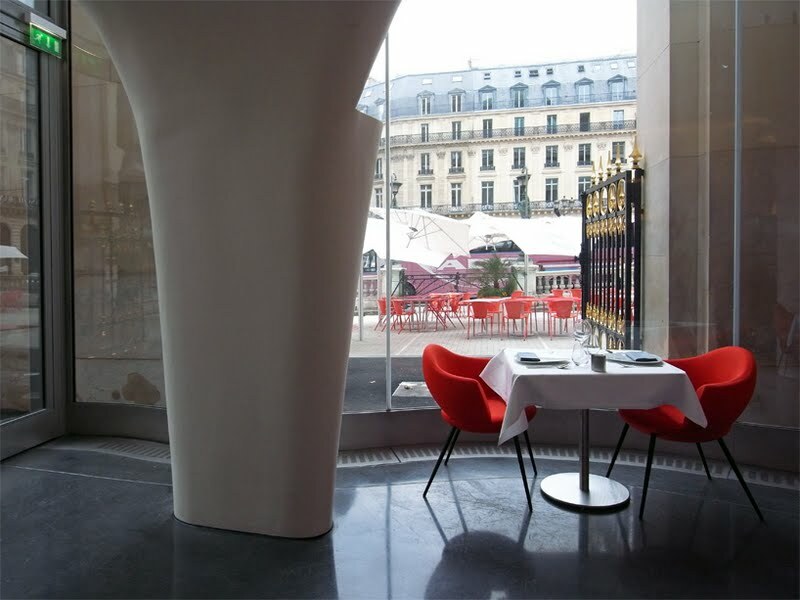 The Phantom restaurant is located at the eastern entrance in the Opéra Garnier, more commonly known as the Paris Opéra, a 1,600-seat opera house on the Place de l’Opéra in Paris, which was the primary home of the Paris Opera from 1875 until 1989. 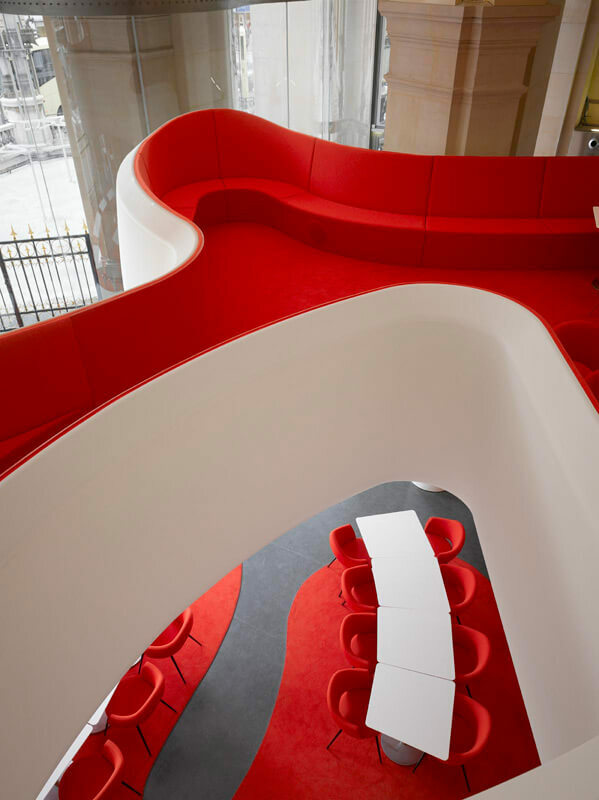 The project of designing a new restaurant was assigned to the architectural office of Odile DECQ Benoit CORNETTE – Architectes Urbanistes after a contest and after three years it was inaugurated on 27th June 2011. 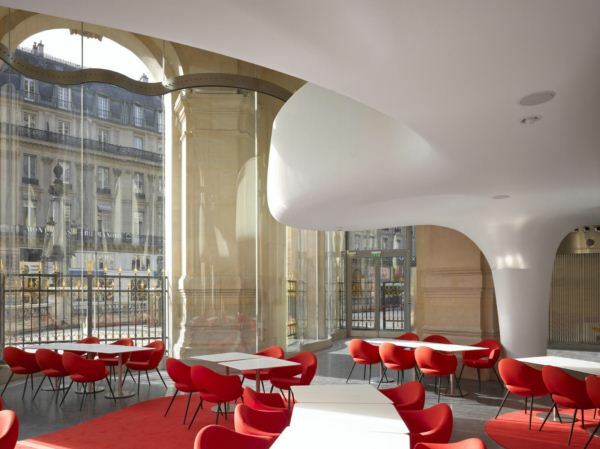 It is quite an architectural challenge what French architect Odile Decq has made if we think that due to the National Commission of Historic Monuments’ strict regulations, not a single part of the structure can actually touch the building’s antique stone.